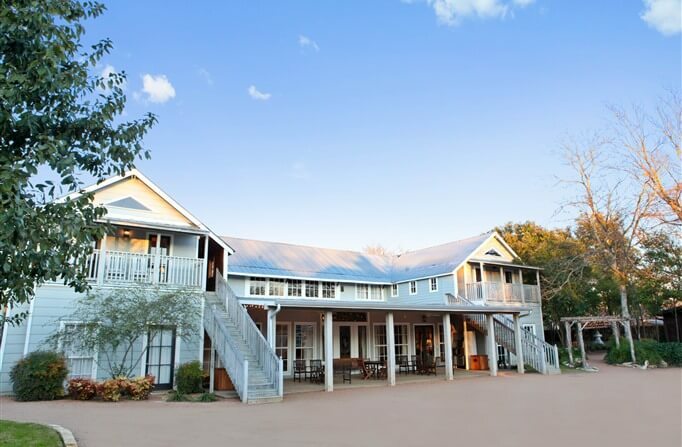 The first Cre8tive Escape will be held May 16–19, 2019, in Fredericksburg, Texas. Fredericksburg is a quaint town of German heritage that boasts lots of wineries, restaurants, and boutique shops. It’s worth a visit even if you don’t plan to attend the Cre8tive Escape! In addition to Saori weaving, we’ll be joined by knitting rockstars Isabell Kraemer and Ann Budd! The event will take place at the Hoffman Haus — a luxury bed-and-breakfast situated in the heart of Fredericksburg.